New Jersey Divorce Records Search | View Divorce Records Online. There are many reasons someone might want to perform a New Jersey divorce records search. Anyone who is tracing their heritage through the history of their family might want to obtain copies for their personal records and family tree. Those who are divorced might need their records to change their name on a license, to apply for a new marriage license, or even to prove their identity for various reasons. Others might have other reasons. No matter the reason, divorce records are a matter of public record. They’re available to anyone to view online, to request a copy that’s not certified, and even to request a certified copy for those who meet the requirements. New Jersey divorce records are viewed easily online. All a person has to perform a New Jersey Divorce Records Search is visit the county clerk’s website in the county where the divorce occurred. If you don’t know this information, you’ll need to find it prior to performing your search. Once you know this information, it’s public record and easily viewed online. Take a moment to view it online by entering only the name of one party on the divorce record. It cannot be printed, and copies of this document cannot be used for any legal purposes. All divorce records can be obtained in person for quick service. If you prefer to call, you may do so. If you prefer to request a copy online or through the mail, you’ll want to download the Records Request Form from the state and either email it in or mail it to the clerk’s office. The fastest way to obtain a copy of a divorce record in New Jersey is in person, but there are other ways to obtain a copy if you haven’t the time to make the trip to the local courthouse. Plain copies are available to anyone, but certified copies and other legal forms are only available to specific people. This includes either person listed on the divorce certificate, the children of either person listed, or the parents of either party listed. If you’re interested viewing divorce records online, use the above form to perform a New Jersey divorce records search. To get an official copy of your New Jersey divorce papers you will want to contact the New Jersey County Courthouse where the divorce took place. 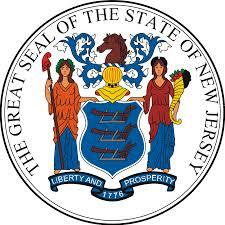 You can visit their website or contact the New Jersey county courthouse clerk for assistance.